Encouraged by the recent survey numbers and the increasing numbers of reserves and community development initiatives, WWF is confident, that with your help, we can ensure a future for pandas in the wild. Community development projects such as providing wood saving stoves to limit the impact of wood-fuel harvesting on the panda's forests. Research and monitoring work, such as setting up infrared cameras to record panda movements in the Minshan and Qinling Mountains. Panda tourism is on the rise. The Chinese government and WWF are now working on ways to reduce the impact of tourism on panda habitats, by promoting eco-tourism. For more information on the best way to limit your impact, read our travel smart tips. 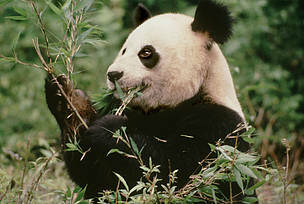 Help spread the word about WWF and send a free ecard to your friends and family. Do you have your own website or blog? Why not link to us. Make your mobile go wild and purchase ringtones or wallpaper. € 15 ($19) Could buy 5 cartridges of film for infrared cameras used to monitor giant pandas and other animals in the Minshan Mountains. 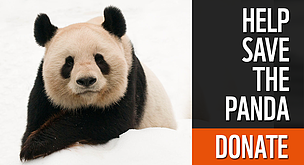 € 44 ($56) Could buy a water-proof suit for a ranger who patrols the panda's habitat. € 44 ($56) Could support a ranger for a five-day training course on GIS (Geographic Information System), which will help collect more accurate and critical information about the giant panda’s habitat. € 89 ($111) Could buy an energy-saving stove, which saves half the annual firewood that a household traditionally uses for cooking and heating. € 222 ($278) Could buy a biogas energy system, which would save half the annual firewood used per household, improve the sanitation of the home and get a cleaner energy source. € 222 ($278) Could buy an infrared camera (including film and battery) to be used for animal-friendly monitoring of wild animals in nature reserves. € 340 ($427) Could provide a household home garden, which would alleviate poverty by planting walnut, pepper, and other kinds of vegetables to be sold or used in the home. 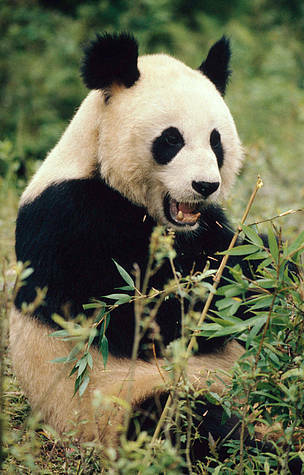 € 1,109 ($1,392) Could save an injured giant panda.